Thus, in the tribunal of Confession, as in any other tribunal, it is necessary that there be an accused, an accuser, and a judge. 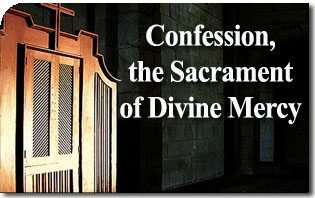 In Confession, the role of accuser is exercised by the penitent who accuses himself to the priest of the sins he has committed; hence the necessity of oral confession. 9 The judge is the priest. To a priest applies, even more than to the common faithful, the general convocation to sanctity of Our Lord when He said: “So be perfect as your heavenly Father is perfect.” 14 But a priest is also subject to temptation and can not only sin but be, in certain cases, a sinner. Nevertheless, even when he sins, he does not forfeit the power that comes to him from the Sacrament of Holy Orders. Cornelius a Lapide, St. Matthew’s Gospel, Chaps. I to IX, in The Great Commentary of Cornelius a Lapide (London: John Hodges, 1893), p. 353. John 20:19-23. Saint Cyril explains that Saint Thomas, despite being absent, also received the Holy Ghost and then the power to pardon sins eight days later when Our Lord appeared to him and converted him from his incredulity. 7 John 20:19-23. Saint Cyril explains that Saint Thomas, despite being absent, also received the Holy Ghost and then the power to pardon sins eight days later when Our Lord appeared to him and converted him from his incredulity. (cf. Cornelius a Lapide, The Great Commentary–St. John’s Gospel [Edinburgh: John Grant, 1908], p. 273). Cf. “Seal of Confession. … Imposed by Christ in instituting the sacrament, this obligation has repeatedly been inculcated by ecclesiastical authority.” Fr. Gregory Manise, O.S.B., s.v. “Seal of Confession,” in Dictionary of Moral Theology (Westminster, Md. : Newman Press, 1962), p.1105. This entry was posted in The Church Shall Prevail by Luiz Sérgio Solimeo. Bookmark the permalink.